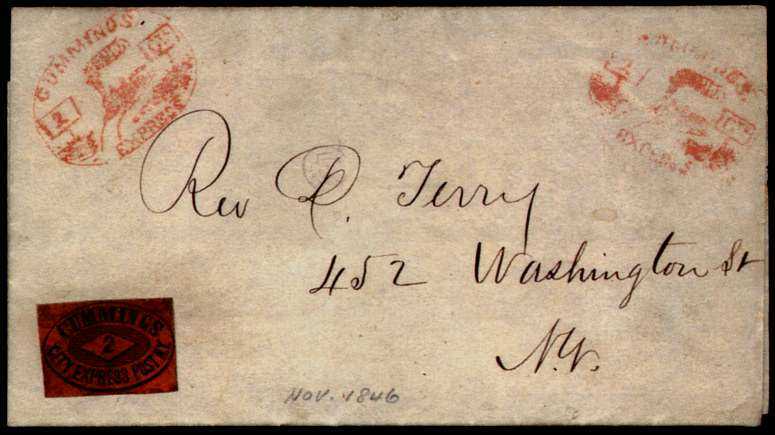 This handstamp is apparently always found with an adhesive, whereas the adhesives are often found without the handstamp, so despite its clear "2 cts" inscription, this item is not considered proof of payment of postage. Of the four covers I have seen, this one has by far the clearest strike of the handstamp, and the purists may say what they wish, I like it, and I'm including it here. The high realization for the cover shown above ($20,000+10%!) 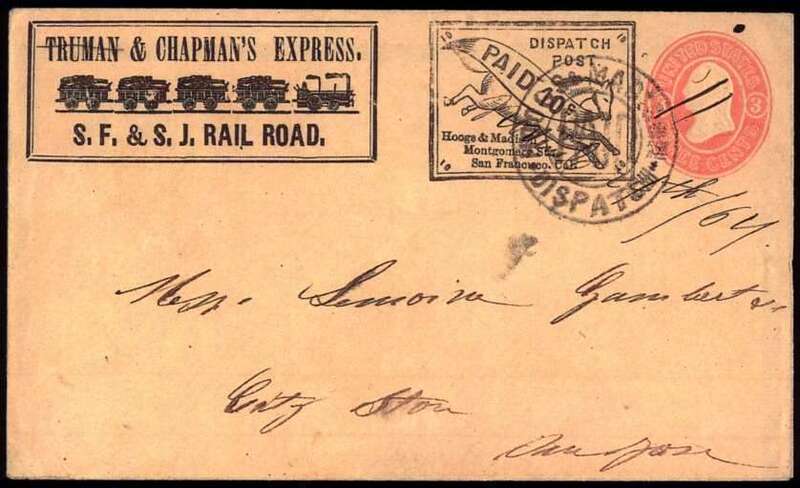 has to do not with the handstamp, but its copy of Scott 55L7, of which only 5 examples are known, this being the only one on cover. 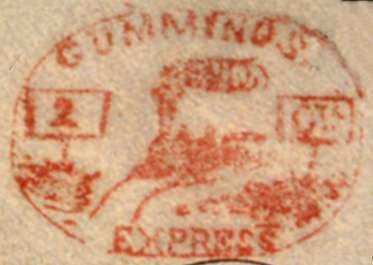 It's far too blurred even to guess what the train in this handstamp might be.